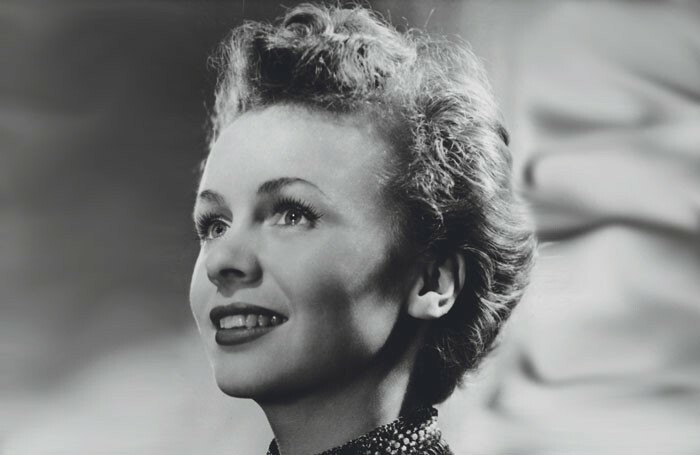 Margaret Anderson, who has died aged 90, had a long and varied career that spanned five decades and saw her appear on stage, film, and television. She started out in ENSA, serving in Egypt and Germany during the Second World War,. In one of her first peacetime roles she worked alongside Laurence Olivier as assistant stage manager in his 1945 production of Thornton Wilder’s The Skin of Our Teeth, seen at the King’s Theatre, Edinburgh, before a West End run at the Phoenix Theatre. She worked in rep for many years, as both an assistant stage manager and as an actress, and was directed by Guy Verney – whom she married in 1954 – in a number of roles at Nottingham Playhouse (including Christopher Fry’s Venus Observed in 1952) and at the Salisbury Playhouse. It was, however, in film and television that she became more widely known, her expressive eyes and open, engaging smile making her a screen natural. Film milestones included Frank Launder’s The Happiest Days of Your Life (1950), Reach For the Sky (1955) and Revenge of the Pink Panther (1978). She appeared in a raft of television’s most popular shows, among them Dixon of Dock Green (variously from 1957-74), No Hiding Place (1959-61), Public Eye (1971 and 1975), Z Cars (1972), Crown Court (1973) and Shoestring (1979). She was also in Crossroads (1977) and played Maureen Schofield in six episodes of the daytime comedy-drama Harriet’s Back in Town (1973). In the early 1980s, she began winding down her career, making her final theatre appearance in a national touring production of A Murder is Announced (1981). Her television swansong came in the 1983 Roy Clarke sitcom Potter. She did not remarry after Verney’s death in 1970, and is survived by two daughters and a stepson. Margaret Anderson was born on August 27, 1925, and died on June 6, aged 90.